Anaheim is a sun-splashed Southern California city, located between Los Angeles and San Diego, best known as the home to the Disneyland® Resort and the Anaheim Convention Center. The Anaheim Elementary School District has 23 Elementary Schools, spanning over 22 miles in the City of Anaheim. In addition, the Anaheim Elementary School District also has four separate support facilities. The Anaheim Elementary School District serves approximately 16,000 students at 23 schools and employs more than 2,000 people. AESD’s 22 square mile boundary includes most of Anaheim, Orange County’s largest city. Anaheim is the perfect location to raise a family and enjoy all that Southern California has to offer. We are committed to providing an instructional program where fundamental subjects as well as 21st Century themes such as World Languages, Art and Music, Science, Social Studies, and Civic Engagement are taught and supported in order for our students to become responsible members of society. Each school site has a unique academic program, best know as Distinguished Practices. As outlined in SB2042, Teacher Induction is now the pathway to a Professional Clear Credential. AESD Teacher Induction Program is designed to support beginning teachers who have finished their credentialing program and have applied for, or currently hold, a preliminary Multiple Subject, Education Specialist, or Single Subject Credential. AESD is dedicated to providing Induction for teachers who are working toward clearing these credentials. Our job-embedded program provides clear credential candidates with the opportunity to deeply consider the application of the strategies and skills that were emphasized in the teacher preparation experience. Assigned to a knowledgeable and experienced Support Provider, teachers are guided through the inquiry process and given, “Just in Time” and long term support. The new teachers’ professional growth goal is the catalyst for an individualized inquiry. In the 2017/2018 program year, the AESD Induction Program supported 24 Participating Teachers. Of those, 20 completed year two and were recommended for the California Clear Credential. With 19 Support Providers, our program averages a 1:2 SP/PT ratio. 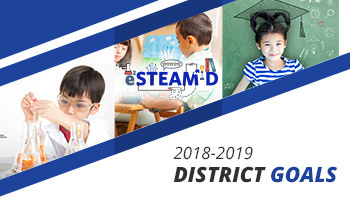 Currently in the 2018-2019 program, the AESD Induction Program will support 39 Participating Teachers. Of those, 8 are year two candidates, and of those eight, one candidate is enrolled in the Early Completion Option and one candidate is enrolled in the DTP-Demonstration of Teaching Proficiency Pathway. We also have 27 Support Providers this program year.